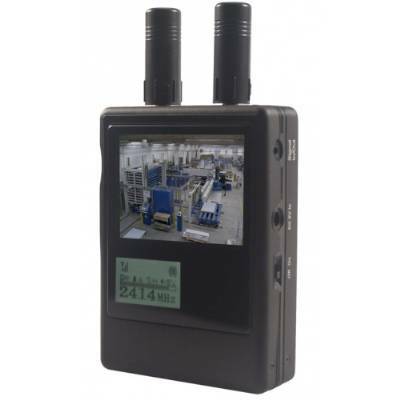 PRO EXTREME WIRELESS CAMERA HUNTER-COUNTER SURVEILLANCE FOR DETECTING HIDDEN VIDEO CAMERAS. New Pro Extreme Wireless Camera Hunter is now in stock and available for immediate shipping. 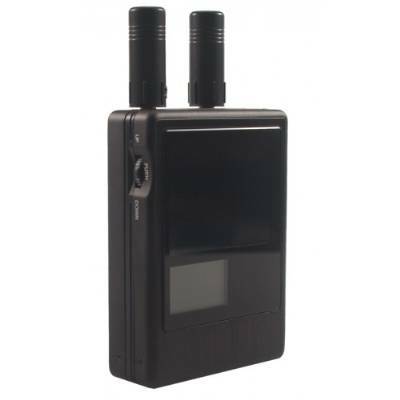 The new Pro Extreme wireless video camera detector allows you to quickly and easily locate single or multiple hidden wireless cameras in any environment. The 2.5\" color high resolution monitor will display the video image while the LCD window shows the exact frequency of transmission. The ProExtreme wireless camera detector automatically scans all the commonly used video frequencies in under 10 seconds. 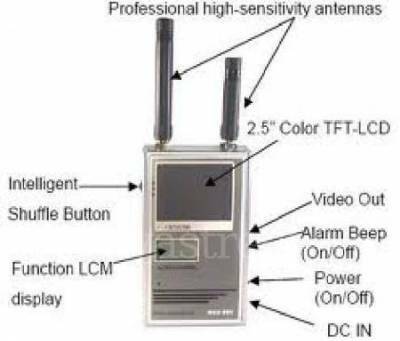 It then locks in on any video camera transmitter and sounds an audible alert tone. Selectable antenna sensitivity allows you to pinpoint sources up to 500 feet away (depending on power of source transmitter).